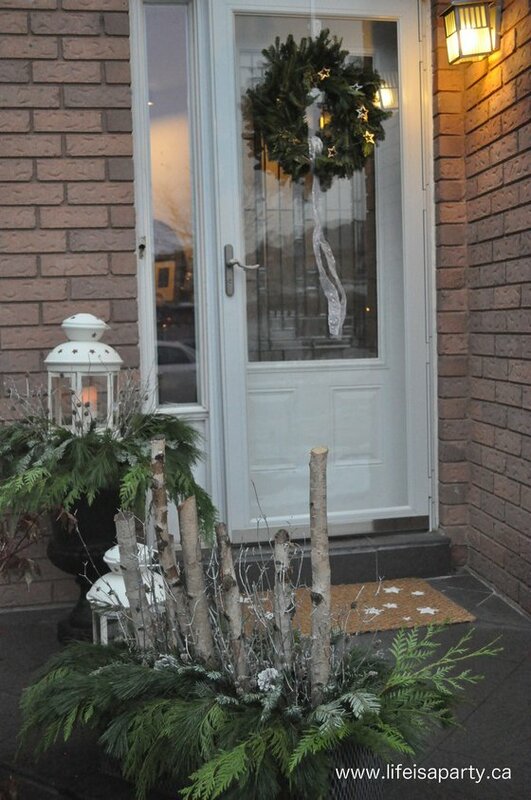 I love decorating with white for Christmas, and I love how this outdoor Christmas urn, planter, wreath and mat turned out. 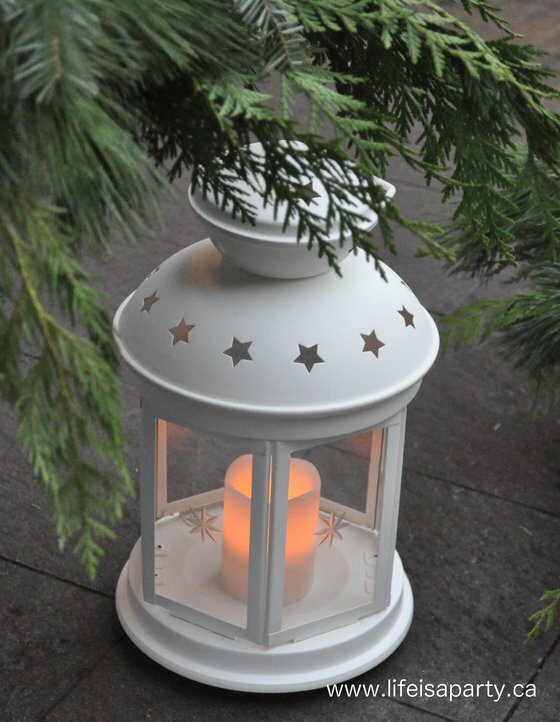 The inspiration for the starry theme came from these pretty Ikea lanterns. I loved the colour, size, and little star cut outs. They’re under $10, so I loved the price too. 😉 My sister had the great idea of making it the centre of the urn. 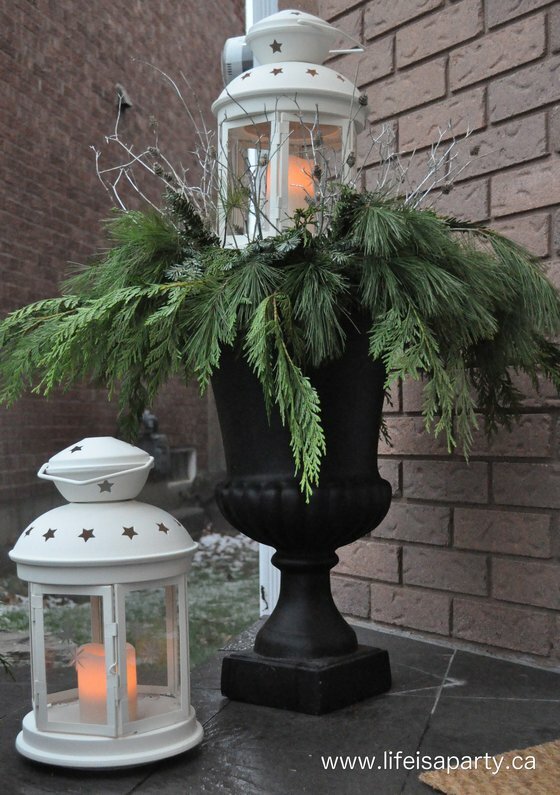 We stared the urn by filling the container with soil, and then adding two pieces of floral foam on top. We used some sticks to drive through the foam and into the soil to anchor them. Then we anchored the lantern, with three more sticks pushed into the floral foam, tightly around the base of the lantern, and then we tied wire to the sticks and around the lantern to hold it firmly in place. 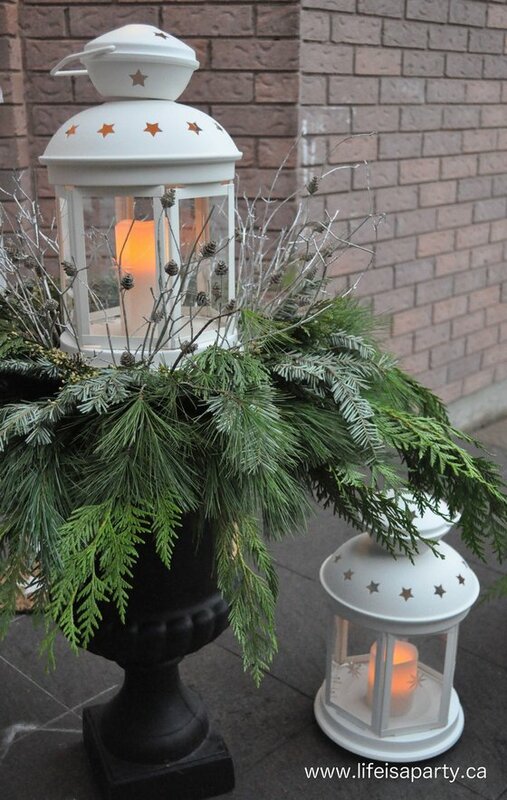 The next step was to add a layer of cedar, then pine, and finally fir, with each layer using slightly shorter pieces. 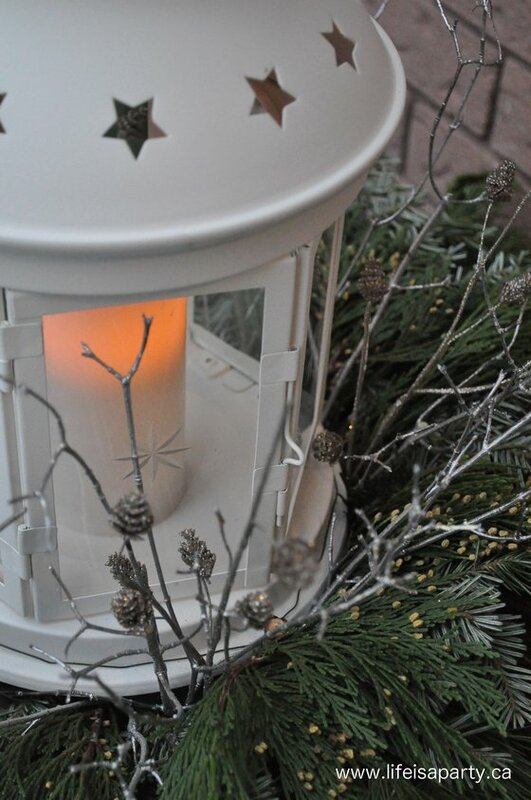 Then, around the base of the candle we did a layer of silver sticks, and finally some pretty pinecone picks. I found some remote control flameless candles, so Heather can turn them on and off each night with the touch of a button -how great is that! 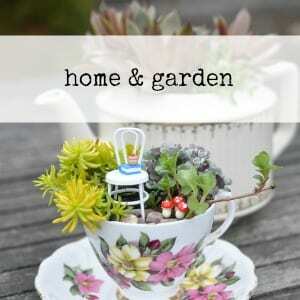 Beside the urn, Heather had another container -a long, wire basket, about the size of a window box found at an antique fair a few years ago. And, I did this one on my own since my sis had to head home, so you really don’t have to be a florist to pull these off. If I can do it, you can do it. 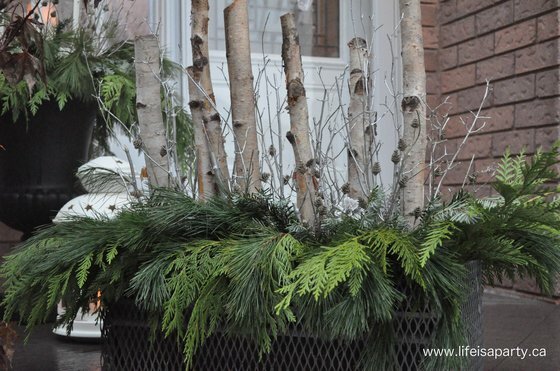 Since I knew the arrangement would be visible from both sides, I did a line of white birch logs down the centre, and did greenery all the way around. 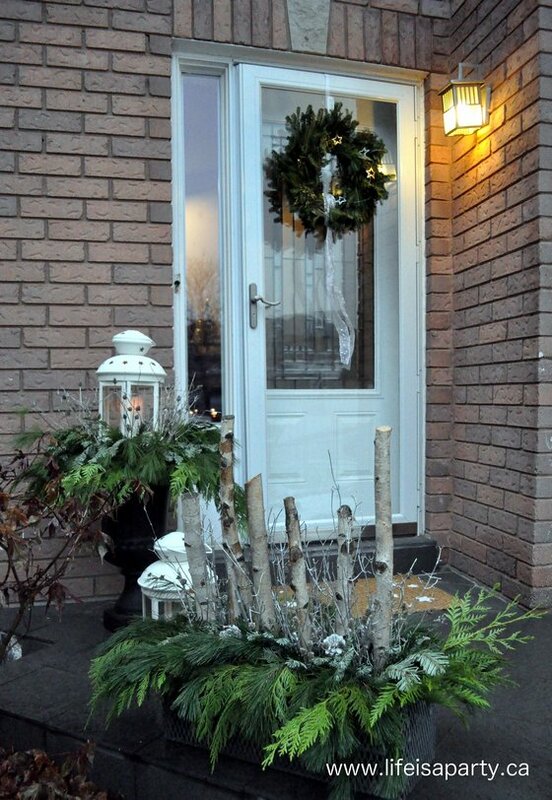 I used the same greens as we did for the urn -cedar, pine, and fir. 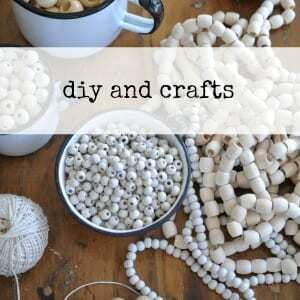 I also added the silver sticks, and little silver pinecone picks again. 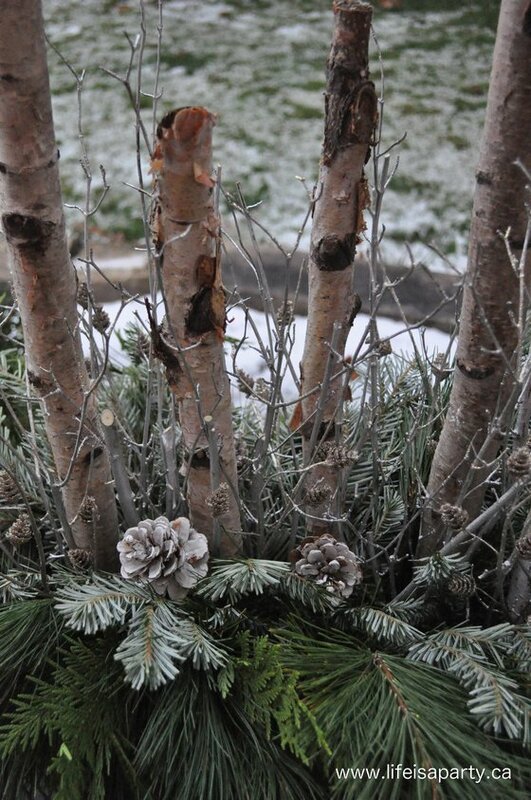 This arrangement also has some larger painted white pinecones. A little trick my sister uses is to flip the fir over and use the back which is kind of silver-blue, and adds another dimension. 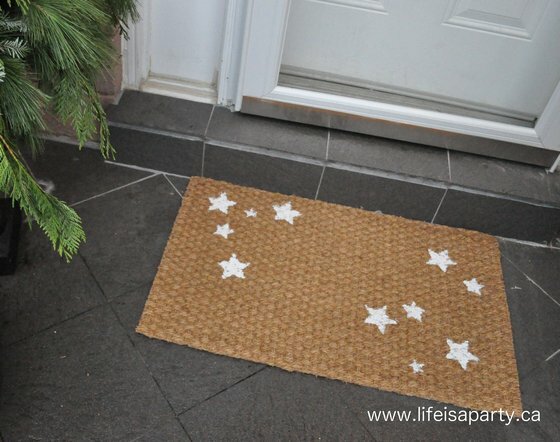 The pretty stars in the lantern inspired a matching simple doormat. 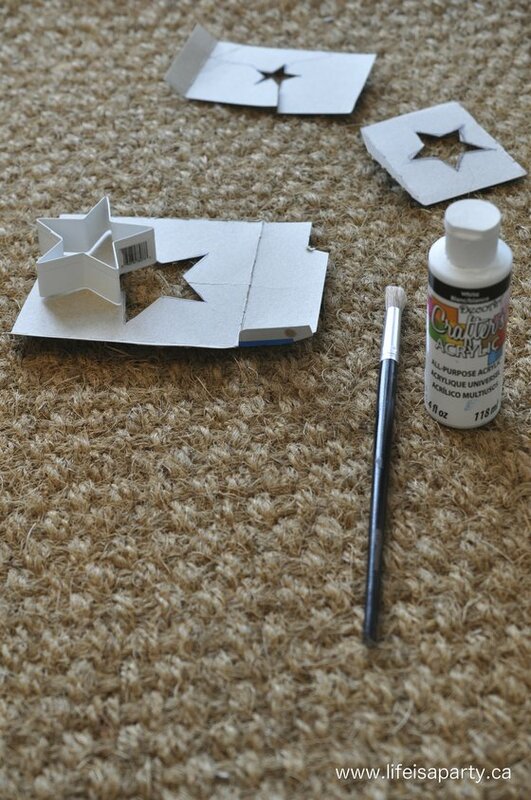 I bought a plain mat for around $7 while I was at Ikea, and made a simple stencil to make it match our star theme. 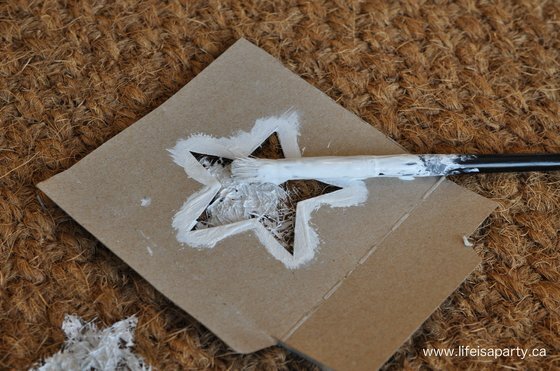 I used a cookie cutter to make stencils out of some old cardboard and some white craft paint to add the stars. 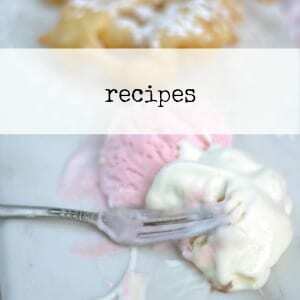 So simple and so pretty with everything else. 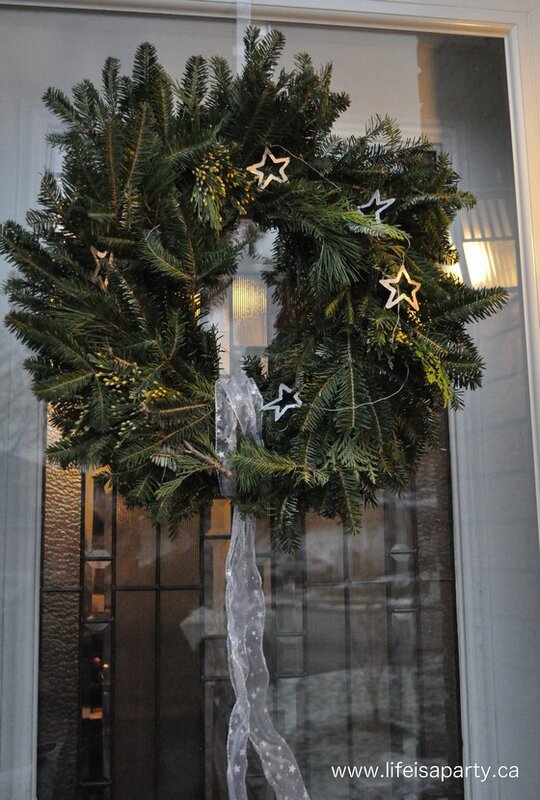 For the front door, I picked up a wreath at the store, and added in a few extra sprigs of greens, and a pretty metal star garland. Then we added a very simple starry ribbon. 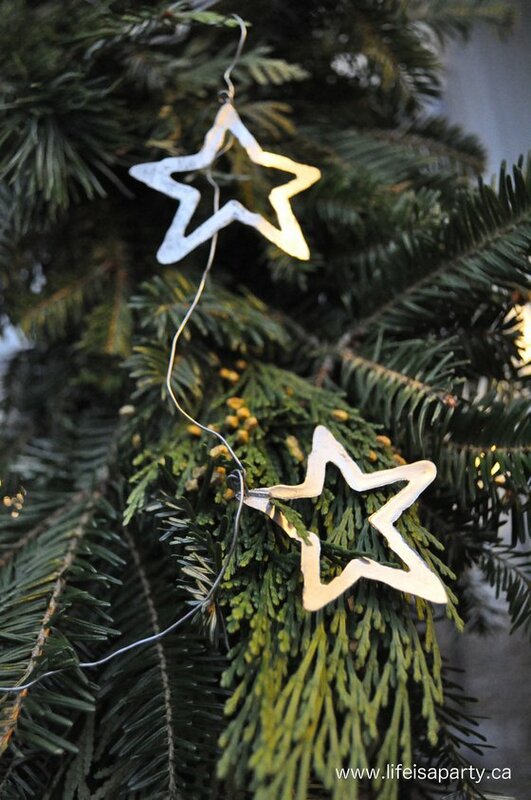 I love how the stars, white and silver tied everything together. Hope you’re enjoying this season of light. 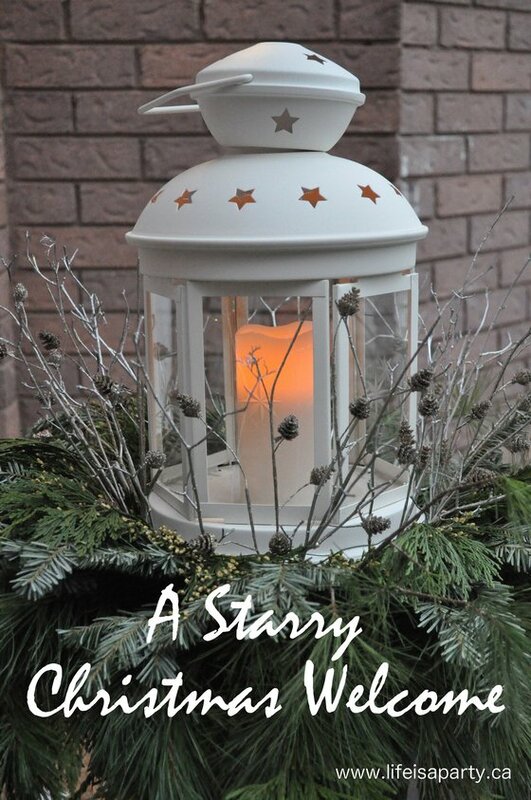 With a starry Christmas, life is really a party! 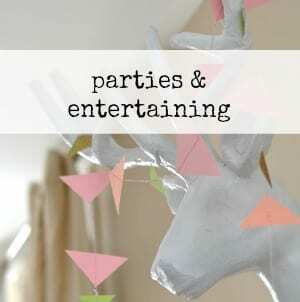 This post is linked up at The Inspiration Gallery, Inspire Me Pretty Link Party, Tatertots and Jello’s Link Party Palooza, and The Party Brunch. 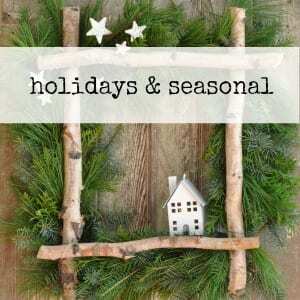 « Christmas Eve Traditions and a Stuck On You Giveaway!